This is a guide to setting up 4-way play on RetroArch. Useful for the 2on2 ROM. Please make sure you have loaded the ROM at least once before (Load Core->Genesis Plus GX, then Load Content->2on2 ROM). I suggest placing the ROM in your ROMs folder inside the RetroArch-32 folder (or wherever else you decide to keep your ROMs). The person hosting should have direct connect set up. This will give the smoothest connection for everyone. This also allows you to swap teammates and reset the game if there is a crash while keeping everyone connected. Start RetroArch. Go to Settings->Input. Set Max Users to 4 (this is safe to leave this way, you don't have to change this back). Exit and restart RetroArch. Load the 2on2 ROM. Once it is running, access the Quick Menu (by going to Command->Menu Toggle on the Menu Bar or pressing F1 key), and go down to Controls. In the Controls window, change "User 1 Device Type" and "User 2 Device Type" to "MD Joypad 3 Button + 4-WayPlay". Make sure "User 3 Device Type" and "User 4 Device Type" are set to "RetroPad" (this should be default setting). Once you are successful, you can save the Game Remap File, which will save the User Device Types specific to this game. This way you don't need to set it up every time. With the game loaded, go to Quick Menu->Controls->Save Game Remap File". A message will pop up that the file has been saved. Now, when you load the 2on2 ROM, it will automatically load the Game Remap File (and your 4-WayPlay setup)! This way, you will not have to redo this and undo it every time you decide to play. So, you only need to go through this setup once. Start Netplay as you usually would (Main Menu->Netplay->Start Netplay Host). This can be done before loading the ROM, or after (go to Quick Menu, go back a few times to the Main Menu). 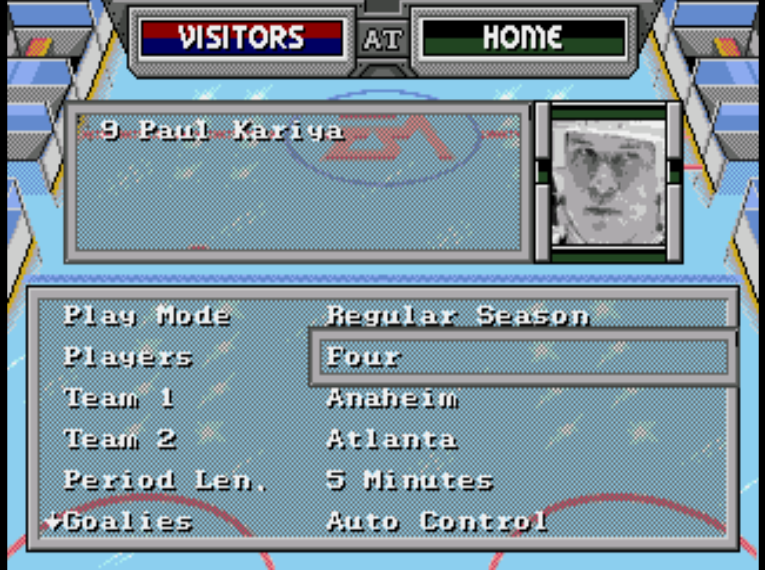 I would suggest telling the players to connect after you set the Players to "Four" in the Game Setup screen.